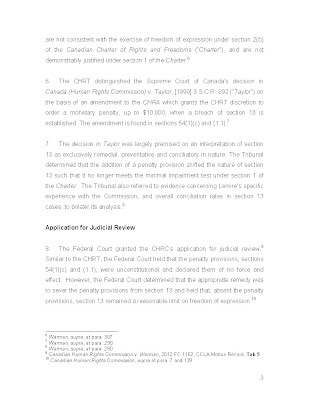 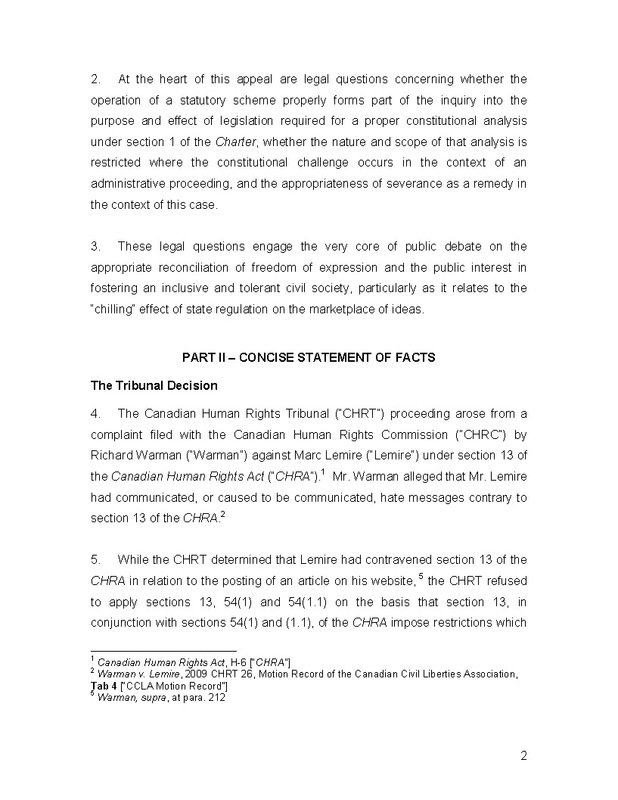 The CHRT must have the ability to examine the manner in which section 13 is administered generally as part of a proper contextual analysis under section 1 of the Charter. 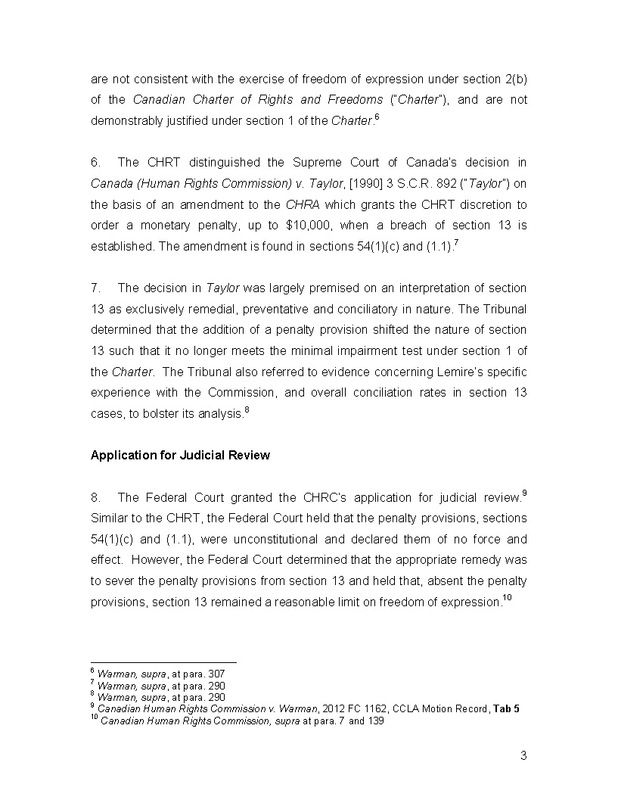 Severance is not an appropriate constitutional remedy in the circumstances of this case, and in freedom of expression cases more generally. 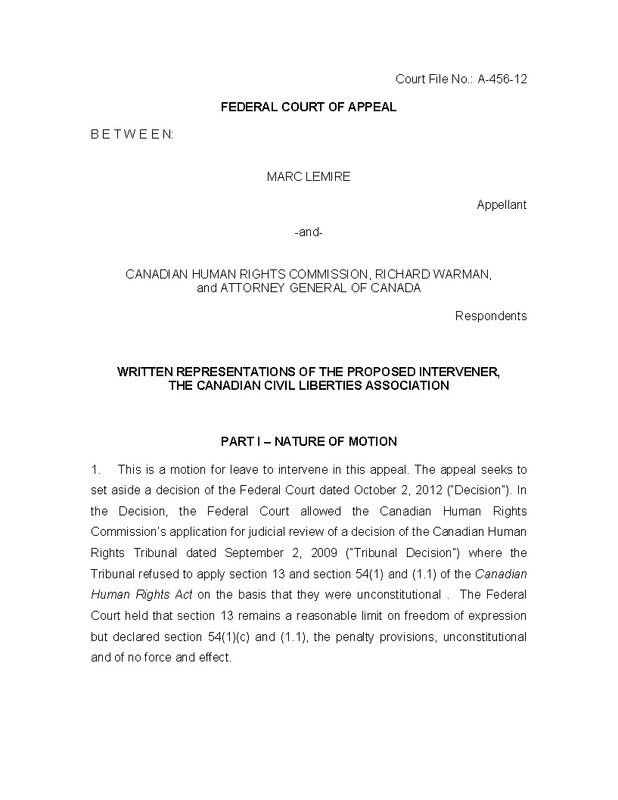 In 2003, serial plaintiff Richard Warman filed a Section 13 complaint against Marc Lemire for postings on the Freedomsite & its message board. 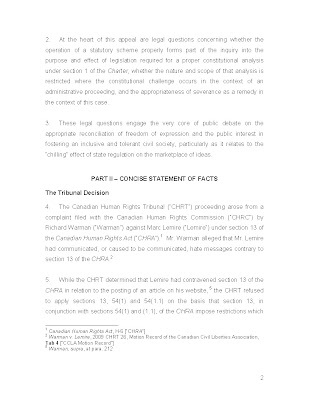 None of the initial posting complained about were written or approved by Marc Lemire, but because he was the webmaster of the message board, the CHRC has prosecuted him for 10+ years now. 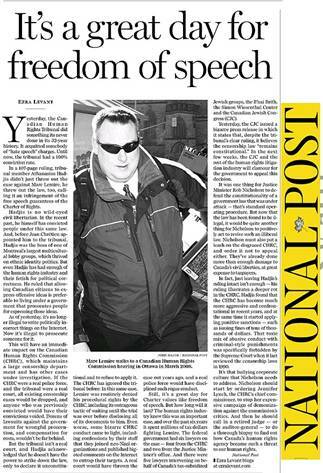 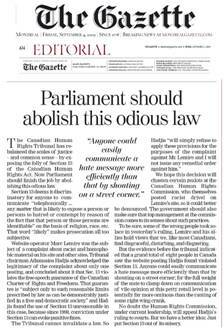 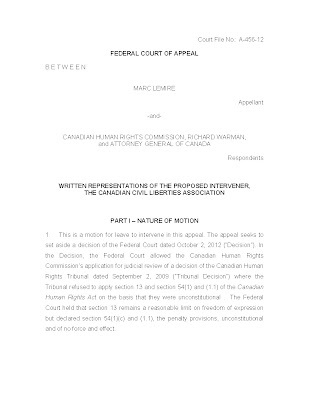 The case against Lemire dragged on for 10 years before the Canadian Human Rights Tribunal, and before the Federal Court of Canada, where the CHRC was forced to admit they spy on Canadian and American websites.